Since 1955, non-profit organization DCMP has promoted and provided equal access to communication and learning for K-12 students with visual and/or hearing impairment – across the US and to military and other US families abroad. DCMP offers nearly 7,000 full-length educational videos cost-free to teachers, parents, and service professionals, who rely on being able to provide an efficient, reliable, and accessible media delivery experience for their students. As a non-profit organization relying on federal grants, DCMP aims to leverage cutting-edge technology for cost savings and efficiency. Neither is an easy task as DCMP must be able to handle a broad range of media environments and devices for its clients, ranging from schools with very low bandwidth and antiquated equipment, to those with the technology and connectivity capable of supporting full 1080 HD bit rates. In the 1950s, DCMP’s ancestor, Captioned Films for the Deaf, delivered content by mailing 16 millimeter film to clients. The program has evolved over the years, delivering VHS in the 1980s, DVD in the 1990s, and, since 1996, DCMP media has been available via internet streaming. With the industry shifting from physical to digital delivery in recent years, DCMP now delivers nearly 85% of its media through streaming. 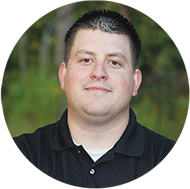 “We have a huge library of media assets that we must deliver to Macs, iPads, PCs, mobile apps, and Roku,” says Kyle Sisk, Information Systems Manager at DCMP. “Those per-minute encoding and storage costs aren’t much when you have a couple hundred minutes of video content, but when you have tens of thousands of minutes, the costs add up quickly.” DCMP media assets necessary for multi-bitrate, multi-device delivery total approximately 18TB. DCMP promotes and provides equal access to communication and learning for students who are blind, visually impaired, deaf, hard of hearing, or deaf-blind. With the Limelight Orchestrate Video Platform (“Orchestrate”), DCMP is now able to easily scale to meet the increasing demand for online delivery of content to a wider variety of connected devices in the classrooms. “Delivering video content that is accessible to students who are hard of hearing, visually impaired, or both is difficult. Fortunately, DCMP has been on the cutting-edge of software development for years and builds web environments and native apps that facilitate accessibility. Limelight’s API gives us access ‘under the hood’ to create software and user experiences that are specific to our students’ needs. Screen-reader accessibility, interactive transcripts, player-based audio description tracks, client-definable clips and playlist generation, and the ability to toggle between languages are all DCMP-created features which would be impossible without access to the Limelight API,” Sisk says. DCMP required a reliable streaming video experience to all clients across the globe. Content is automatically converted to the right format for any connected device. DCMP was able to implement Orchestrate and get up and running in just a few days. Full implementation (including uploading all titles—18 terabytes of content) took only a few weeks. DCMP leverages the Limelight API to facilitate cutting-edge software development, critical for meeting the needs of students with disabilities. With delivery of nearly 85% of its content via streaming media today, DCMP lowered its operating expenses. DVD delivery costs $1.40 round-trip, a stream is pennies or less.